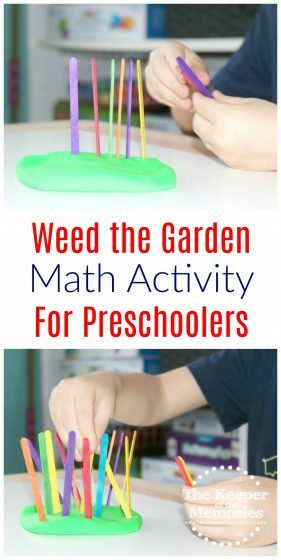 Counting is such an important early math skill for little kids, which is why I put together this awesome Weed the Garden Math Activity for Preschoolers. 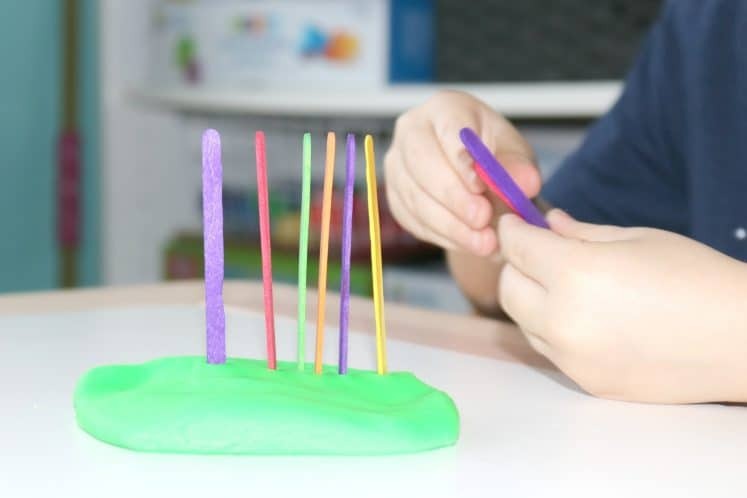 It really is a fun way to teach counting and one to one correspondence. You’re definitely going to want to check it out if you’re looking for math and counting games for your little kids. And of course it would be great for a preschool gardening theme too! The little guy had so much fun with last month’s Growing Gardens theme. I seriously couldn’t even believe it and we’re both really looking forward to being Nature Detectives next month. In June, we’ll be doing something a little bit different. Every summer, we do a review of what we’ve learned. The first year, we learned about A to Zoo Animals, the following year was Alphabet Island, and this year it’s all about The Alphabet House. Of course we’re using Mother Goose Time for preschool homeschool and it’s been such a huge blessing to us and we couldn’t live without it. 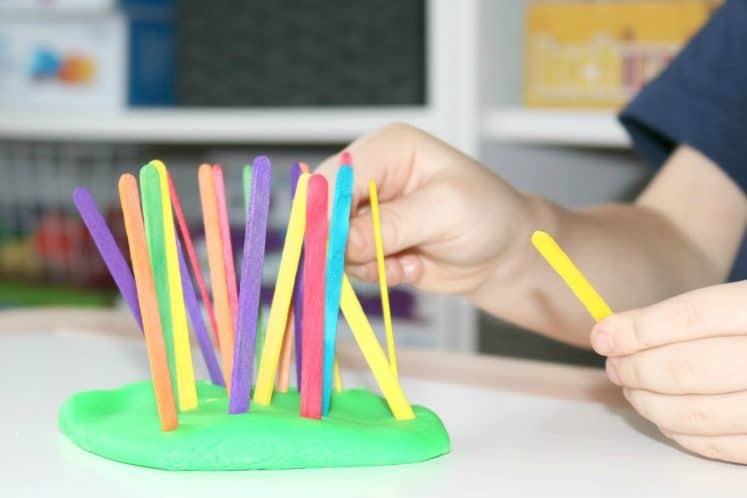 Note: This activity was adapted from one that was included in our Growing Gardens Teacher Guide. 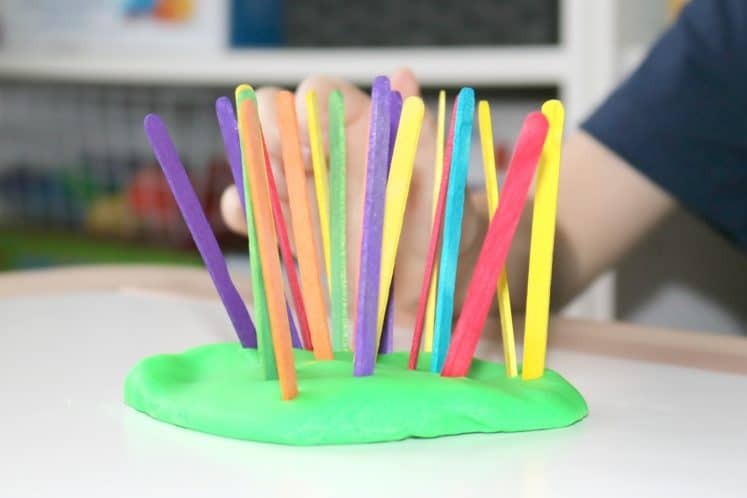 Roll Play-Doh into one large clump and insert the colored craft sticks. Continue to “weed” the colors until they are all out. I couldn’t even tell you what inspired me to get creative with this one other than the fact that the little guy already knows colors and I wanted to practice one to one correspondence too. This activity seemed like an awesome way to do just that. Originally, the Teacher Guide encouraged us to use our pocket cube with the color cards. Instead I decided to do things a little bit differently. We still set up the activity exactly as described. 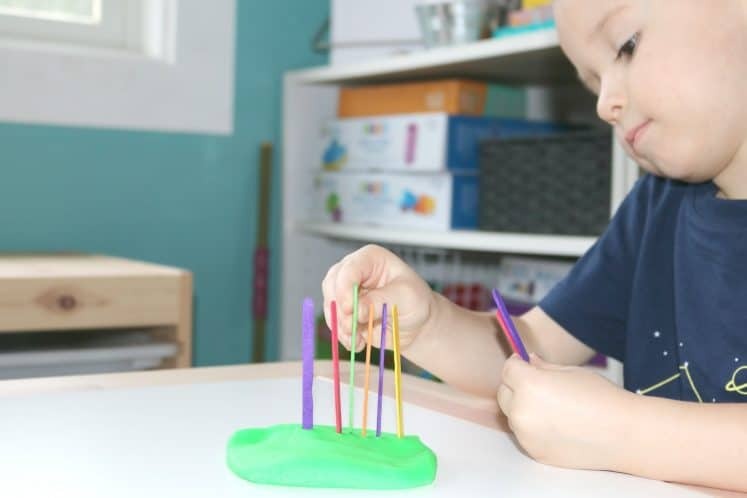 We rolled the Play-Doh into one large clump and inserted the colored craft sticks. 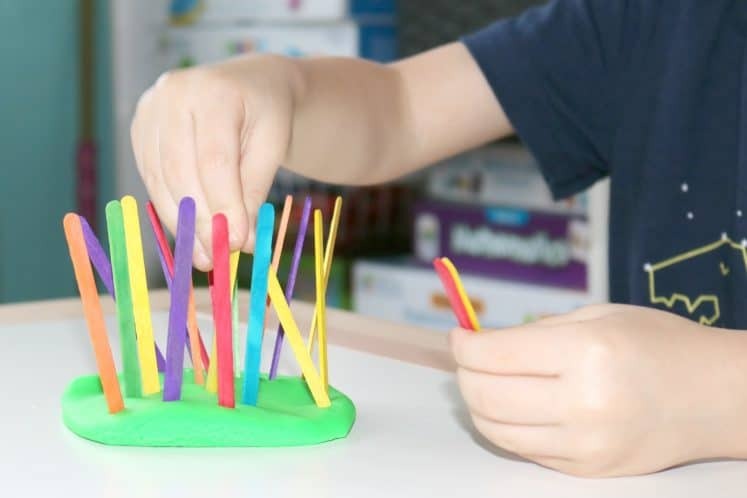 The Teacher Guide suggested using tweezers to “weed” the colors, but the little guy just grabbed the craft sticks with his hands. I would tell him how many and what color and he would hand them to me so that I could double check his work as we counted them again together. We continued to play until there were no more colored craft sticks to “weed.” He also played by himself for a while counting the sticks as he pulled them out. I’m definitely all about being able to take this curriculum and make it work for us. That’s one of the reasons why I love it so much.